It does not matter if your baby does not have his first tooth popping, you already need to be thinking and teaching him about the dental care, just to ensure your little one’s smile stays gorgeous for the rest of his life. If you will take a good care of your baby's first set of little teeth and then teach him when he will get older how to care for his own teeth properly, then you will surely be blessed with a lifetime of stunning smile in your little one’s face. It is a great way to get baby used to cleaning his mouth long before his teeth arrive. You might want to wipe his gums with a washcloth wrapped around a finger, gently of course, right after you feed him. You should start caring for baby’s teeth as soon as you notice any signs of the, just when they begin to appear. Sure, baby’s teeth are not around forever but they are just as important as the permanent teeth that will come later in life. His teeth hold the space that the permanent teeth will need for correct placement and help your baby talk and eat. So be sure to take care of those pearls properly. Look out for holes in baby’s teeth. The first signs of cavities in baby teeth are usually a discoloration in the tooth. The best way to avoid tooth decay is to never put your child to bed with a bottle of milk or juice. If he routinely falls asleep with that bottle, he will not have brushed his teeth before bed, which means that the sweet drink as milk or any juice have been allowed to coat his teeth for hours while sleeping. If you must give him a bottle to get him to settle, perhaps change sweet drink into the simple water. A cup of water after every meal is a gift for your little one. Trust me. With a small drink of water after each meal, most foods will simply wash off your baby's teeth and the most of the work is done for you. Make sure that your baby gets enough fluoride. Especially, if your child is not using a fluoride toothpaste, he should get enough fluoride through water. Flouride is extremely important for preventing tooth decay and was introduced into the water supply for this very reason. If you do not have access to fluoridated water, you should talk to your doctor about fluoride supplement for your baby. Taking baby to the dentist time after time is a must. 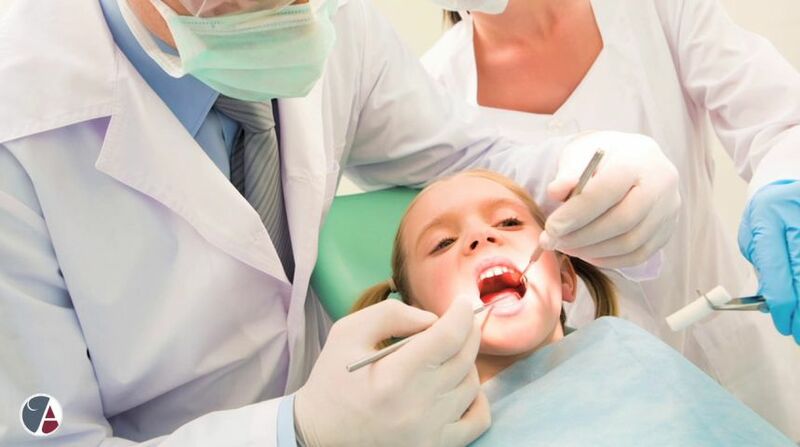 Many parents mistakenly believe that the first visit to the dentist coincides with the loss of baby teeth or even later - in the beginning of school. In fact, the first visit to the dentist should take place around the age of three, even if it is only so he can sit in the big chair, open his mouth and then be congratulated on how beautifully he is looking after his teeth. There will not be any harm if you will make sure that his teeth is white and beautiful. Such a small things are those tiny pearly teeth, but how important they are. We believe you will be the best you can in taking care of your baby’s pearls.